Brilliant art thief Merrick Davidson can steal anything, except Grant Silvan’s heart. Merrick has to keep Grant at arm’s length for fear of revealing his secret. 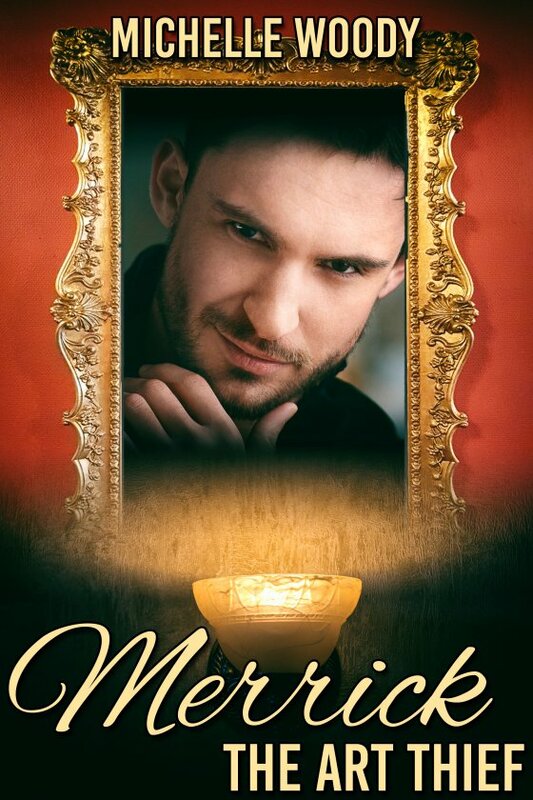 When Merrick’s biggest rival exposes his secret to Grant, the rejected lover returns to win back his relationship with Merrick, but there are obstacles to overcome. Wyatt Silvan, Grant’s father and Merrick’s employer, is after the famous seven Xanderclied paintings, which all contain clues to a treasure. If Merrick succeeds in obtaining all the paintings and find the treasure, he can retire as an art thief and start a normal, uncomplicated life with Grant. Together, they hunt the paintings from art galleries to private collections, from city to city, dodging bullets and escaping from life threatening attacks. With danger all around and the FBI on their tails, will Wyatt and Merrick find the paintings and treasure they are looking for? Will Merrick realize love is the biggest treasure of it all, before it is too late? Rhonda and Grant stood at the end of the hallway, looking around. “There you are.” Rhonda approached him with Grant following. “Oh boy.” Merrick rubbed his chin as he glanced down the hall in hopes Wyatt would be there. “Where are you?” Rhonda started toward the desk. They took the sprawling cream-colored marble stairs to the second floor. The landing branched out to their left and right, walls on both sides lined with framed paintings and photographs. They started down the hall to their right. Only three people moved past the works of art and didn’t seem to pay Merrick and Grant any attention. Beside him, Grant fidgeted with his watch. He wanted to hold Grant’s hand, to enjoy the stroll through the museum. How nice it’d be if there was no stress or danger, only the feel of Grant’s soft hand, his arm resting against Merrick’s as they walked. After they passed several paintings, Merrick grinned, bowed his head. Merrick stared into Grant’s eyes for several breaths. The blue reminded him of the ocean; inviting and healing. Grant nodded as he walked on. Merrick fell into step beside him, forcing his attention to the art, even though he could feel Grant’s looks. Grant moved closer so their arms touched. He wrapped his pinkie around Merrick’s, grinning as he turned his gaze away from Merrick. The simple contact rushed through him. His fantasies of a life with Grant weren’t coming close to how wonderful it felt to really have him at his side. As they stepped through the doorway, Merrick studied the rectangular room. With the recent thefts of Xanderclied works, the upgraded security around Despair wasn’t surprising. A wire ran from the bottom of the canvas, probably attached to a motion-activated alarm. Cameras aimed down from each corner of the room. At the two doorways, nestled into the high ceiling, were roll cages, which Merrick presumed were set to drop once the motion alarm was triggered. It was daunting, but nothing they couldn’t handle. What troubled him was whatever trick Jordan had waiting for them. A red-haired man with a bushy beard walked along the far side of the hall. Merrick had seen him before, too. He was the flirt from the Cunningham opening. Why was he there, today of all days? Was he a part of Jordan’s game? Michelle Woody lives in Springfield, Missouri. Her other titles include Riley, winner of the 2010 National Indie Excellence Award for Gay/Lesbian Fiction, The Scarecrow's Kiss, and Figment of the Heart. For more information, please visit michellewoody.com.